We recently transitioned my 6 yo to sleep alone in his bed. We told him about it well in advance so he is prepared. We even bought a shiny bunk bed of his choice to make this transition as much fun for him as possible. To our surprise, the transition was quite easy. Looks like he was ready for this even before we were! But then, there are days (or nights) when he would be lying in his bed and unable to fall asleep. Cue the many calls to mom for water and “I need to pee” et al. Reading in his bed is not possible as the reading light is on the table and his bed is much higher. I wanted something that would keep him engaged as well as calm him down. 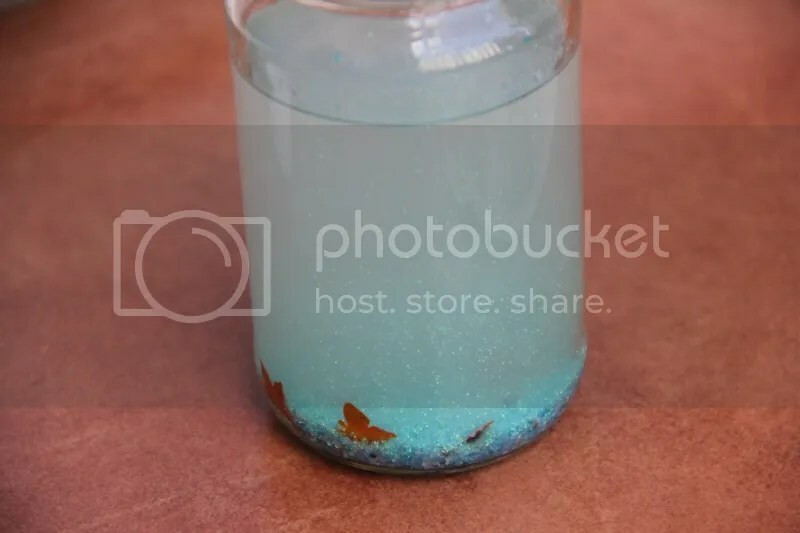 I went looking on the internet and I saw this wonderful little thing called Calm Down Jars. There are more versions than you can count on your fingers, but I settled on this one. A quick trip to Itsy Bitsy was arranged over the weekend. I let my kid pick the colors and boy, was he excited! He made this calming down jar (with our help, of course) and he is might proud of it. 1. 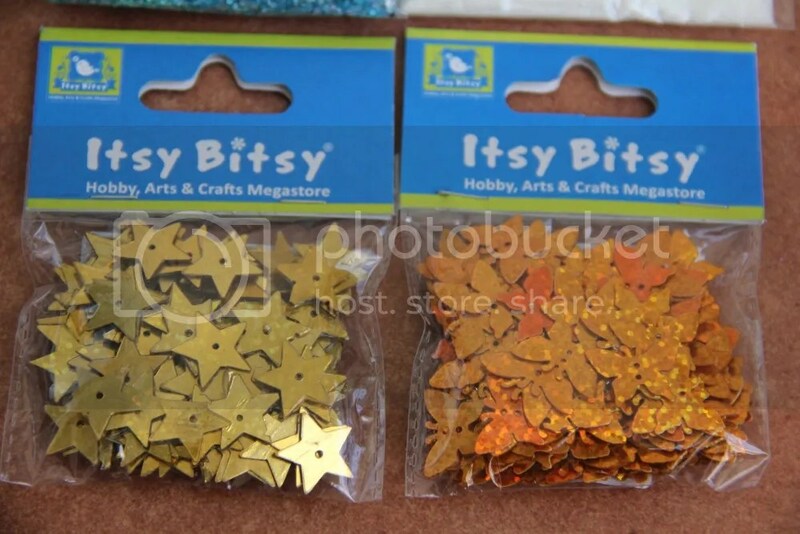 Glitter Glue from Itsy Bitsy. I love that iridescent blue. Kid has an eye for colors, eh? 2. Glitter. The white is a fine powder whereas the blue one is coarse. 3. Assorted shapes to go in the jar. Kid picked stars. I picked the butterfly ones, because butterflies! 4. 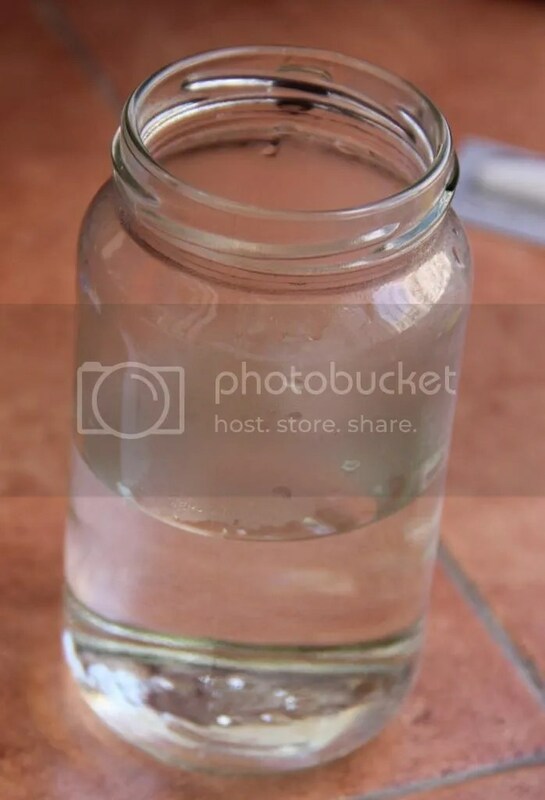 Add boiling/very hot water to the jar. 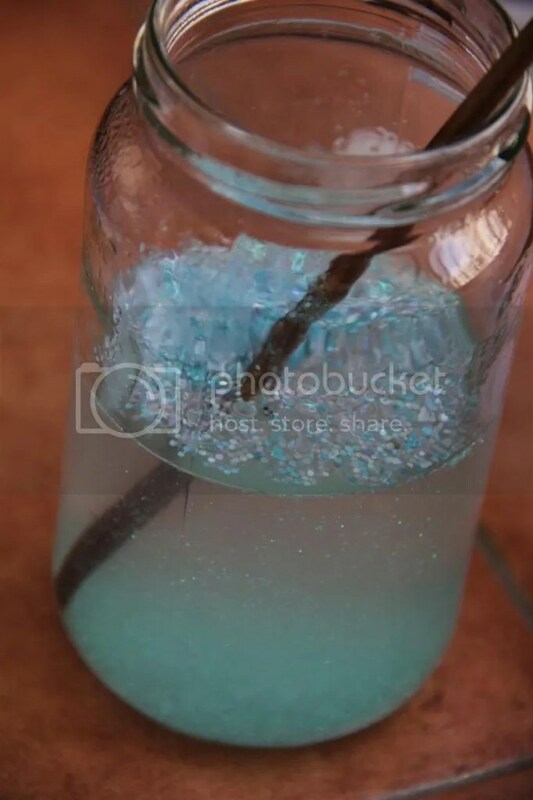 I didn’t fill the jar to the brim so that I can adjust the water-glue ratio later. 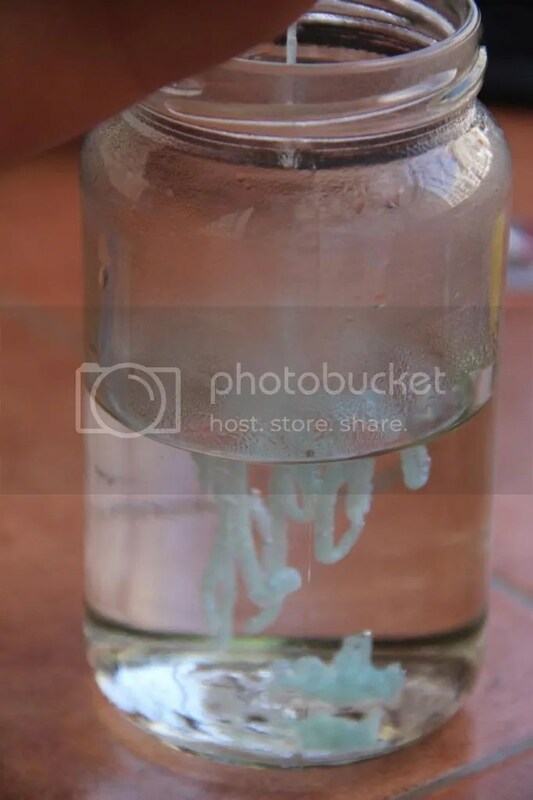 If your water is not hot enough, glue will sit like a blob, so make sure your water is hot, hot, hot. 5. 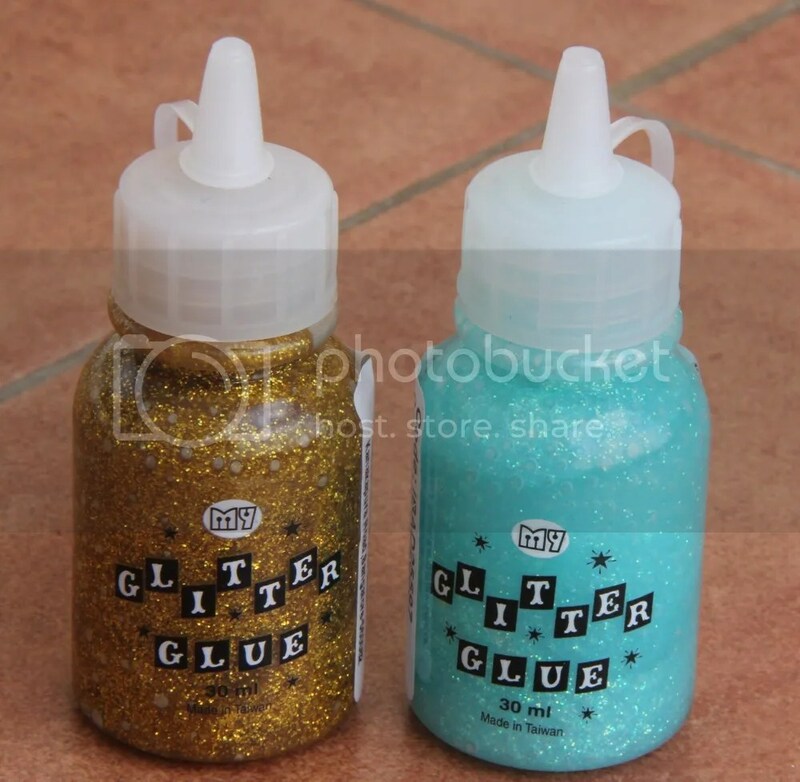 Add 3/4th of glitter glue into it. We eventually added the entire bottle, but add just 3/4th to begin with. 6. Add the glitter. We added half of the blue one and 1/4th of the white one. 7. Give it a good stirring to break up the glue. 8. Add the shapes, howmuchever you please. We added I think 15 of each. Put the lid on and shake, shake, shake it baby. 9. Give it swirl. 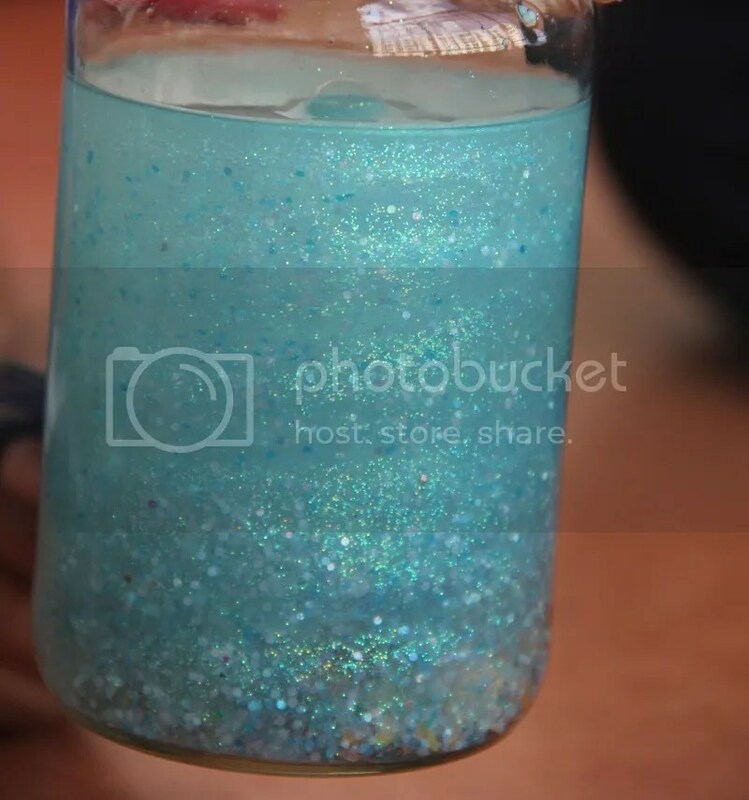 And see the oh-so-pretty glitter tornado (kid’s words, not mine). 10. And this is how it looks settled. 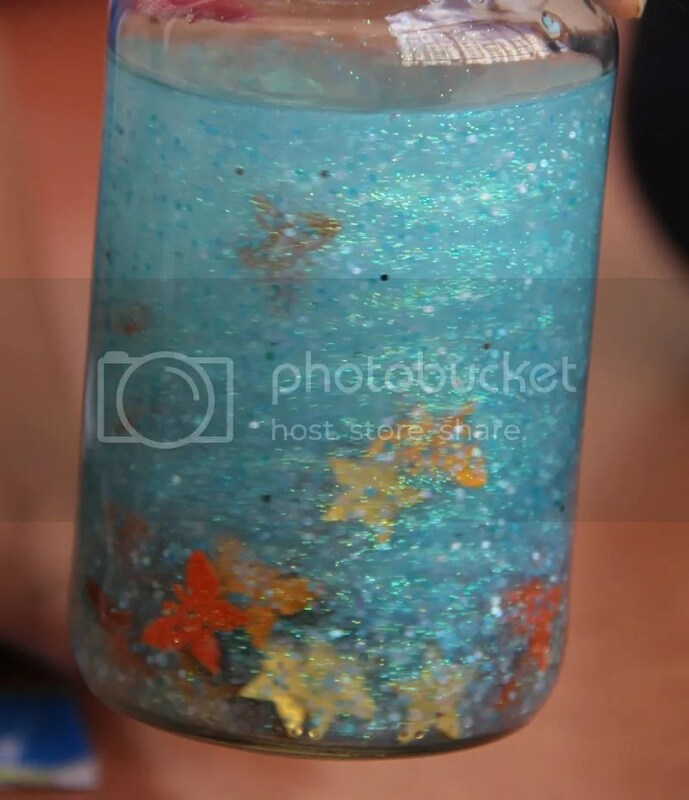 Glitter takes around 3-4 minutes to completely settle, but the shapes dive to the bottom very fast. I wish we had something lighter which would take a little longer, but I didn’t have any choice. This now sits in the kid’s room and we end up shaking it whenever one of us passes by. Can’t resist the pretty sight. PS: I wish I had used a plastic jar/bottle, but didn’t have a good one. 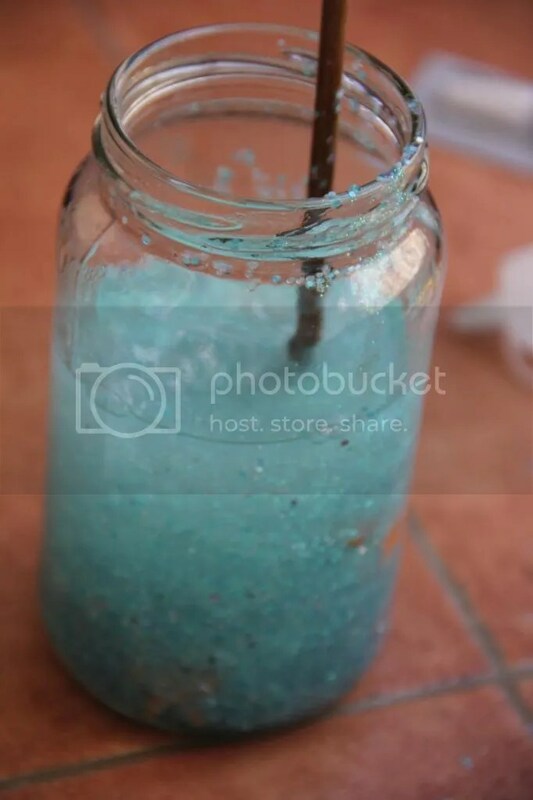 We will be making another one with plastic bottle for sure. Great idea! I think this would be a great rainy day activity for Kiki. She typically falls asleep before I finish reading her bedtime story, but this is a great project. Thanks for sharing!